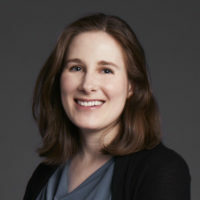 Kelly Doran, MD, MHS is an emergency physician and faculty member in the Department of Population Health and the Department of Emergency Medicine at the NYU School of Medicine who studies how health care systems can better address homelessness and other social determinants of health. Her research on homelessness and emergency department use--including frequent emergency department use--has been published in journals including the American Journal of Public Health, Medical Care, and Annals of Emergency Medicine. As an expert on these topics, Dr. Doran has spoken at local, national, and international conferences. Her work is funded by grants from the NIH/NIDA and multiple foundations. Dr. Doran has also served as an advisor to the New York State Department of Health on an innovative program to use Medicaid to fund supportive housing, described in an article she co-authored with former NY Health Commissioner Nirav Shah in the New England Journal of Medicine. Dr. Doran attended medical school at the University of Michigan, completed a residency in emergency medicine at NYU-Bellevue, and earned a master’s degree in health sciences as a Robert Wood Johnson Foundation Clinical Scholar at Yale University. Dr. Doran is a fellow of the New York Academy of Medicine and works clinically in the emergency department at Bellevue Hospital Center in New York City.